i-Smoulder – the foolproof sultry eye! 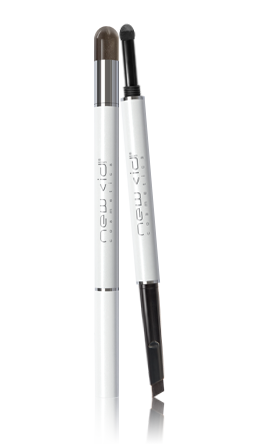 The i-Smoulder from New <id cosmetics is a very handy little product that creates an instant and easy smoky eye. I don’t know about you, but I think that the classic smoky eye is the sexiest and most flattering makeup look there is. It instantly defines the eyes and draws attention to them, even if done very subtly. It’s probably the look that I have most often at work – although usually a more extreme version of the one that you would wear in real life! Sultry, smoky eyes can be quite difficult to do properly, I think, but if you just line the eye and then have a smudgy dark shadow close to the lashline you can achieve a great look very simply. I love the i-Smoulder because the shadow is so easy to apply and I don’t need to carry a brush and shadow about with me – it’s the perfect ‘handbag’ product! One end is an eyeliner and the other is a cream shadow applicator with the shadow itself contained in the lid. There’s no mess with this, and no searching about for the right colour eyeshadow! In the video, I’ve used the Charcoal shade, but the ‘Olive’ (a deep emerald green) is also really flattering! New <id i-Smoulder is £16 from Zuneta or House of Fraser.